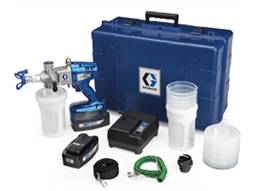 Our Apollo product offering includes a comprehensive range of Apollo paint sprayers, pressure pots and pro spray equipment. The Apollo brand produce high-quality products which are ideal for domestic or commercial usage. Apollo products are durable and designed to withstand bulk usage and production line processes. 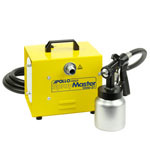 Apollo Spraymaster HVLP turbine systems with a smooth trigger action are ideal for the garage, workshop or home. The Apollo systems can be used with many materials including emulsion, lacquers, primer fillers and cellulose. HVLP (high volume low pressure) systems are ideal for preventing and reducing sprayback, saving on paint usage. There is also no need to wait for pressure to build up before you can use the gun. 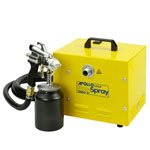 Shop now for your perfect Apollo Spraymaster Paint Spray system, Apollo Spray System parts or get in touch with Spray Direct today if you have any queries regarding the Apollo Spray brand. You can contact us online or call us on 0345 873 0263.